and in Switzerland. After his debuts in 1961 in Berlin with the Berliner Philharmonic conducted by the mythical Ferenc Fricsay, and in London and New York, he began an important career playing worldwide every year. Vásáry has been Music Director and Principal Conductor of the Hungarian Radio Symphony Orchestra (1993 – 2004), of the Northern Sinfonia (1979 – 1982) and the Bournemouth Sinfonietta (1989-1997). Since 2005, he has been the Laureate Conductor of the Hungarian Radio Symphony Orchestra. 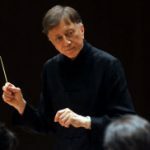 As a conductor, he has worked with some of the best orchestras in the world, such as the Berlin Philharmonic, New York Philharmonic, French National Orchestra, Royal Philharmonic, Philharmonia, London Philharmonic, London Symphony , BBC Symphony, Scottish National Orchestra, Washinghton National, Orchestre de Paris, Dallas Symphony, Baltimore, Detroit and Houston, Royal Stockholm Philharmonic, Orchestra di Santa Cecilia, RAI Orchestra, Spanish National, Galicia Symphony, Royal Seville Symphony, Hungarian State and Warsaw Symphony. He has conducted operas by Mozart, such as “Il Re Pastore” in the Aldeburgh Festival, “Le Nozze di Figaro” in Sadlers Wells Theatre in London and in Cambridge, “Don Giovanni” with the London Mozart Players in Seville and “The Magic Flute” for the Hungarian opera in Budapest. As pianist, Tamás Vásáry has played with great orchestras, such as the Berlin Philharmonic, London Symphony, New York Philharmonic, Vienna Symphony, Boston, Chicago, Cleveland and Philadelphia Symphony and Munich Symphony with conductors, such as Adrian Boult, János Ferencsik, Eugen Jochum, George Szell, Ernest Ansermet, Claudio Abbado, Bernard Haitink, Riccardo Chailly, Antal Dorati, Rudolf Kempe, Paul Kletzki, Andre Previn, Neville Marriner, Simon Rattle, Kurt Sanderling, Wolfgang Sawallisch, Esa-Pekka Salonen, and George Solti. He has played in festivals, such as Salzburg, Edinburgh, Tanglewood, Cleveland Blossom, Aldeburgh, Stressa, Berlin, Merano, Granada, Santander, Proms BBC London, Hong Kong, Budapest Spring, and more. He has made more than 20 recordings for Deutsche Grammophon, with works by Chopin, Debussy, Rachmaninov and Liszt, including seven CDs with works by Brahms, with players from the Berlin Philharmonic. He has also recorded the Mozart Piano Concerti K. 449 and K, 537, playing and conducting this orchestra. In 1977, he recorded the complete piano concerti by Rachmaninov, with the London Symphony Orchestra. With the Philharmonia, he recorded Symphonies 3 and 4 by Mendelssohn and more Mozart Piano Concerti. In 199, he recorded a CD with works by Liszt including the recently discovered Third Piano Concerto (Grand Prix de Disque) with the London Symphony Orchestra. Since 1996, he has recorded works by Dohnányi, a Beethoven Cycle, and some solo CDs with works by Schubert, Schumann, Brahms, Tchaikovsky, Beethoven, Liszt and Chopin for Hungaroton. Starting in 1996, the Hungarian Television produced a successful video series entitled “After the Music” in which Tamás Vásáry played and conducted, explaining the life and works of composers. In 1998, Tamás Vásáry received the Gold Medal from the President of the Hungarian Republic as well as the Kossuth Prize, the most important cultural award in Hungary. He is Honorary Member of the Royal Academy of Music and the London College of Music. In 2001 he received the Order of Knights of Art and Literature of France. In 2005, a book of conversations with Tamás Vásáry was published in Germany and was presented in a special 4 hour program for the NDR Kultur. After completing his tour as Principal Conductor of the Hungarian Radio Symphony Orchestra, Tamás Vásáry is at present guest conducting and again giving piano recitals around the world, including Europe, Japan, Far East and South America.